The story is, he risks it all on a dream. The problem is, he's not acting. 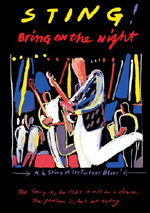 It's been available on audio CD since 1985, but the long-awaited release of the DVD version of Bring on the Night will be a cause for celebration for fans of both Sting and the Police. 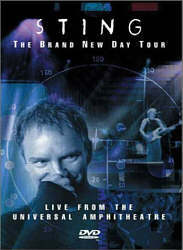 Directed by Michael Apted, the film observes Sting and his new band as they rehearse and then perform their first concert, in Paris. The musicians, including Branford Marsalis (sax), Kenny Kirkland (keyboards), Darryl Jones (bass), Omar Hakim (drums), and two backing vocalists, are all superb, all with strong jazz backgrounds but a good feel for rock as well; and Sting's then-new material, drawn from his "The Dream of the Blue Turtles" album, is among the best of his solo career, especially "Consider Me Gone," "Children's Crusade," and the brilliant "Fortress Around Your Heart". 20 years after the fact, it’s easy to forget what a risk Sting took when he went solo in 1985. Sure, he was the main singer and songwriter for the Police, an enormously successful act. Since he came across as their main creative force, why wouldn’t that success continue when he went on his own? That’s easier said than done. In fact, early in 1985 Mick Jagger tried very hard to establish a solo career of his own but didn’t do too well in that regard. No, the Police weren’t as legendary as the Stones, but they were arguably the world’s most popular band when they split, and fans may not have accepted Sting solo. Add to that controversies that swirled in the weeks before The Dream of the Blue Turtles hit shelves in the summer of 1985. The Police hadn’t been a straight-ahead rock band since the late Seventies, as albums like 1983’s Synchronicity and 1981’s Ghost in the Machine dabbled in other genres. However, Sting recruited jazz musicians to play with him on his solo work, which led to the inevitable thoughts that Turtles would be his attempt at - gasp! - a jazz album. I was 18 back then, and although I maintained a naïve respect for the genre, I knew one thing for certain: I didn’t want to hear Sting play jazz. I loved the Police, but I didn’t know if I’d want to have anything to do with Sting’s solo work if it went down the rumored path. As it happened, all of this was much ado about nothing. While Turtles indeed had a jazzier feel than Sting’s work with the Police, to call it a “jazz album” would be a gross exaggeration. As we learned when the peppy lead single “If You Love Somebody Set Them Free” hit the airwaves, Sting’s focus remained firmly in the world of pop. He may don jazz clothing, but his catchy pop sensibility remained in place. Turtles turned out to be a solid album and it helped establish Sting as a solo force. Over the last 20 years, he’s never quite recaptured the success of the Police at their peak, but he’s continued to sell well and maintain his stature as one of rock’s biggest acts. 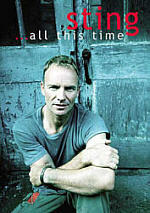 Never one to deny his self-aggrandizing ambitions, Sting decided to document his grand foray into the solo world. This resulted in a concert film called Bring On the Night, a look at the formation of his solo band and their early efforts. As the film starts, we join Sting and his band in rehearsal at a French villa. (Not exactly roughing it in a garage, are they?) The group includes saxophonist Branford Marsalis, drummer Omar Hakim, keyboardist Kenny Kirkland, bassist Darryl Jones, and backup singers Dolette McDonald and Janice Pendarvis. 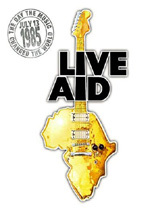 We then watch them at a press conference when Sting introduces the musicians and goes over the project. From there the film cuts among rehearsal shots, concert footage and interviews with Sting and all the musicians. Other comments come from Sting’s girlfriend Trudie Styler, manager Miles Copeland, journalist Vic Garbarini, A&M Records and Film president Gil Friesen, and co-manager Kim Turner. Topics discussed include the formation and development of the band, the musicians’ backgrounds and reasons for joining, Sting’s life, career and goals, risks related to Sting going solo and the Turtles project, and other reflections on connected subjects. Once rehearsals end, we see the start of the tour. We check out the staging for the show and various outfits and things culminate in the band’s first concert in Paris. In rehearsal, we hear part or all of the some tunes. Any that appear in their entirety are marked with an asterisk: ”Bring On the Night/When the World Is Running Down You Make the Best of What’s Still Around”, “If You Love Somebody Set Them Free”, “Low Life”, “Fortress Around My Heart”, “Love Is the Seventh Wave”, “Shadows In the Rain”, “*Consider Me Gone”, “*Driven to Tears”, and “We Work the Black Seam”. Concert shots include part or all of these numbers: “*Shadows in the Rain”, “*Fortress Around Your Heart”, “We Work the Black Seam”, “I Burn For You”, “Children’s Crusade”, “Need Your Love So Bad”, “Roxanne”, “*I Been Down So Long”, “If You Love Somebody Set Them Free”, “Demolition Man”, and “*Message In a Bottle”. Many people find Sting to be arrogant and pretentious, and those folks will find ample support for their theories in Night. Not that I think the film makes Der Stingle look bad, per se. It all depends on your perspective. If his normal attitude irritates you, then he’ll bug you here. If you don’t mind his haughtiness - which I don’t - then you’ll not run into many problems. Night occupies some sort of music movie limbo in which it blends various subgenres in various ways. Many of the interview clips consist of the usual happy talk and “we’re the best” blather. To hear the bandmembers speak of it, this group was supposed to totally redefine rock bands. (They didn’t.) Self-confidence is fine, but it’s off-putting to hear Marsalis talk about how this group could kick the asses of anyone else. While they were indeed a fine band, they weren’t the best. Pure musicianship doesn’t automatically make a group great. Heck, the Ramones had about 1/1000th the instrumental skill of these guys, but they were a better band. Anyway, we get a fair amount of self-praise, but some startlingly honest moments appear as well. Most of those come from manager Copeland. He comes across as a pushy jerk, but he delivers the program’s most revealing moments. Some of those relate to a subtheme of the show: the musicians’ delusion that they’re in a democracy. At one point, Jones wonders if they’ll ever turn into a real band in which everyone has an equal say. He acts like this is actually a possibility, and some of Copeland’s remarks demonstrate a similar belief. He rants about how the musicians want an equal part of the monetary pie and lays out the reality in blunt terms. It’s a memorable moment, as proven by the fact it’s literally the only line in Night I recalled from my sole screening of the flick almost 20 years ago. Copeland also provides the movie’s biggest fight. When he sees Colleen Atwood’s costume designs, he goes off and rants about the lack of color on stage. Again, he does sound like a prick, but it’s an interesting moment to see, as it least it smacks of no-holds-barred reality. At least bits like that help contrast happy talk such as co-manager Turner’s insane assertion that the Police were probably the best band of all-time. A few other good comments pop up, such as McDonald’s story about her prior job as the receptionist at a whorehouse. Don’t expect a lot of revealing content, though, and we’re stuck with dopey remarks like Sting’s discussion of the extreme racism in the modern music scene. He talks about the lack of crossover: whites buy white music, blacks buy black, and never do the twain meet. He said this at a time when acts like Michael Jackson, Prince and Lionel Richie appealed to fans of all races, so this sounds like little more than an ignorant soundbite. It’s too bad that Sting doesn’t give us greater insight connected to the split of the Police and his intentions for a solo career. Instead, his comments made this feel like a vanity project, as he clearly felt “I’ve got the best musicians money can buy, so look at how I excel without those other lunkheads to drag me down!” For instance, when he introduces the performers during the news conference, he makes sure we hear who they played with in the past. I think he does this to add street credibility to his own claims to greatness and not for actual informative purposes. Y’know, when I watched Night, I didn’t think Sting came across too poorly, but the more I reflect on it, the more I think he fared poorly. Partially that’s due to his almost complete lack of a sense of humor. At one point Marsalis jokingly rags on Sting, and while he sort of plays along, he clearly doesn’t enjoy this ribbing. In addition, we see Sting pose for wacky photographer Max Vadukul. (We know he’s nutty - he wears a fez and dances funny!) My, did I dislike the goofy Vadukul, and even the crazy shutterbug can’t make Sting look loose. Sting can’t simulate whimsy, so his attempts to do so here look forced and unconvincing. So what does work well in Night? I do like the performance and rehearsal segments. The latter offer the most illuminating aspects of the film. It’s great to see them work through the songs and figure out different elements. We really get to watch the tunes evolve and come together. The concert performances also provide nice material. Even though most do present full songs, they give us a good look at Sting’s show circa 1985 and offer a solid overview of the material. I did get irritated with some of the interruptions, though, especially when they fell in the middle of numbers. As a combination of documentary and concert flick, Bring On the Night doesn’t prove consistently satisfying. It’s not upfront enough about various issues to be totally worthwhile in that domain, and it does feature enough live material to fully present that side of things. Despite some issues, however, it comes across as generally entertaining and worthwhile. Bring On the Night appears in an aspect ratio of approximately 1.85:1 on this single-sided, double-layered DVD; the image has been enhanced for 16X9 televisions. Despite some consistent concerns, I usually felt pleased with the picture quality of Night. Sharpness caused very few issues. Wider shots looked ever-so-slightly soft at times, but those were minor instances. Instead, the vast majority of the flick demonstrated good definition and accuracy. No signs of jagged edges or shimmering occurred, but I saw some light edge enhancement at times. Colors usually came across as nicely distinctive. Sometimes they could be a little messy, especially due to slightly runny concert lighting; but the tones mainly were tight and clean. Blacks seemed a bit inky, but they weren’t far off-kilter, and shadows were quite smooth and well-depicted. Night ended up with a “B-“ mostly due to source flaws. The movie seemed grainier than expected, and it also showed a fair number of specks, grit, and general marks. These never became overwhelming, though they were pretty noticeable during the rehearsal shots. Note that the concert segments looked cleaner than the rest of the film. They weren’t as grainy, and they showed many fewer specks and marks. In fact, the concert shots were almost good enough to boost my grade to a “B”. However, since much of the rehearsal footage was close to “C+” level, my final mark of “B-“ seemed fair. It’s not a great transfer, but it was largely satisfying. As with the picture, the audio of Bring On the Night was also something of a mixed bag. However, the movie’s soundtracks generally fared well. Night came with both Dolby Digital 5.1 and DTS 5.1 mixes. I didn’t discern any notable differences between the pair. Actually, bass may have been slightly superior during the DTS track, but this wasn’t a significant improvement. Low-end was one of the mix’s moderately weak links. Low-end never seemed poor, but I thought the audio lacked the depth I’d expect. Bass response seemed fairly average and didn’t deliver the range I’d like. Otherwise, audio quality worked well. Dialogue and vocals were usually natural and distinctive. Some “on the fly” speech sounded a little rough and hard to understand, but those moments occurred infrequently. Effects were a minor part of the mix and sounded perfectly adequate; they didn’t need to be any better than that. Of course, music was the most important part, and the songs came across pretty nicely. As noted, the mixes lacked the low-end I’d like, but this wasn’t a thin, trebly track. It presented the various instruments with clear, natural tones that made them eminently listenable. As for the soundfield, music dominated it. This meant it mainly focused on stereo imaging in the front. That aspect presented a minor disappointment. Stereo delineation wasn’t bad, but it didn’t open up the instruments as much as I’d like. Though the elements spread across the front, they didn’t emanate from consistently logical spots. That would have made this a more seamless, involving soundfield. As it stood, things were acceptably defined but no better. Surround usage tended toward general support. No unique music popped up back there, as the songs stayed oriented in the front. That was fine, as it left the rears for reinforcement. Actually, they added some decent ambience at times during street scenes and other such moments, but they didn’t have a lot to do. I found it difficult to grade Night because I wasn’t sure against what to compare it. On one hand, it presented much better audio than I’d expect for a movie from 1985. On the other, it’s not fair to contrast its soundtrack with something from a feature film. Musical projects should be seen differently, which is why Night ended up with a “B-“. I held it to a higher standard than I would a movie from 1985, so while it sounded pretty good, it wasn’t much above average for a professionally-recorded musical program. We don’t get a ton of extras for Bring On the Night, but a smattering appear. Of prime interest are the three music videos. We get clips for “If You Love Somebody Set Them Free”, “Russians”, and “Bring On the Night”. The latter combines performance clips - not excerpts from the movie, happily - with the impressionistic band portraits that form the DVD’s art. It’s a fun little piece despite Marsalis’s badly dated rap in the middle. On the surface, “Free” is just a band lip-synch piece. However, it takes an unusual approach: the participants were shot separately and superimposed to appear together. It makes things different and inventive; the video still looks fresh today. “Russians” offers some dramatic black and white photography but suffers from overwrought visual elements and a song that hasn’t aged well in our post-Cold War society. In addition to the film’s trailer, the disc presents a Photo Gallery. We can look at this as still frames or as a running program. If you select the latter option, you’ll also hear two radio spots. The 13 photos mix ads, publicity shots, behind the scenes images, and a couple of movie reviews. It’s a passable collection. For those who want to program their own little music collection, they can go to the Personal Playlist. This allows you to pick and choose the songs you want to hear and select the order in which to listen to them. I doubt I’d use it, but it’s kind of a cool extra. Finally, the package includes a 12-page booklet. This piece offers artwork of the band, credits, and new notes from director Michael Apted. He tosses out a few quick but good reflections on the project. Too bad he didn’t tape an audio commentary. While not on a par with something such as Gimme Shelter, Bring On the Night provides a generally interesting program. It mixes performance footage with behind the scenes bits and interviews to create a bit of a hodgepodge, but it works acceptably well. Picture and audio quality both seem pretty good, and the small collection of extras adds some value. Night will probably appeal mainly to diehard Sting fans, and they’ll be glad to finally add it to their collections.